Virtually all of our decisions are emotionally based. Therefore, as we saw in my previous posting, Decisions: Roles of Intuition and Cognition, intuition plays a vital role in decision making. It shows up as as shopping for rationales to justify wants and desires. We often notice this as our confusion regarding the reasons people give for their decisions. This is because if we don’t have a grasp on the emotions causing people on a subconscious level to gravitate to a rationale justifying what they want. Since the business world often demands we have a rational orientation, we faulty believe that people make decisions about their actions as shown in the left-hand figure below. 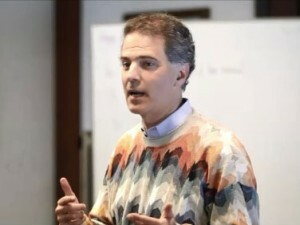 If they find Rationale #1 as having the best set of reasons, evidence and logic, then people will select the recommended action associated with it, Action #1. If Rationale #3 is the best, then they select Action #3. 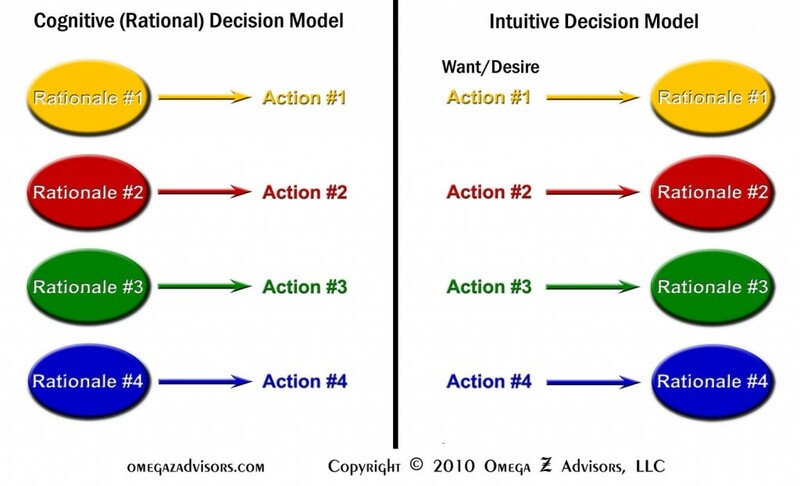 However, the right-hand figure shows that intuition, based upon people’s wants and desires, will actually determine the action then the corresponding rationale to support it. So, if people prefer Action #2, they will tend to select Rationale #2 because it justifies their decision. However, as the above embedded post suggests, this shopping for a rationale will likely occur subliminally. This means that on a conscious, cognitive level, people will tend to believe they are making a rational decision even though they are not. What does this mean in practical terms? First, good insight into the decision maker’s personality will enhance our abilities to predict his decisions even if we don’t have complete knowledge of the problem. Second, any of his decisions, even if they aren’t similar to the problem, will further our insights into his personality. Taking such an intuitive approach works because personality will always be more consistent than rationales.